Alongside Gov. Asa Hutchinson, AETN Executive Director Courtney Pledger speaks with the press about a new live-stream service for governmental meetings. Arkansas's statewide public television network is launching a new service that will live-stream meetings of the state legislature and governmental agencies. At a press conference Monday, Courtney Pledger, executive director of the Arkansas Educational Television Network, joined Gov. Asa Hutchinson and state Sen. Jason Rapert (R-Conway) in announcing the online-only service, called the Arkansas Citizens Access Network, or AR-CAN. Pledger said the new service is designed to boost civic engagement in the state. "Until today, there has been no single, central location for Arkansas citizens to watch official proceedings online while learning about their government," Pledger said. "AETN will now offer all Arkansans a convenient, front-row seat to many government proceedings without the need to travel from their homes, schools and businesses." Legislative proceedings and public meetings deemed to have the most interest to the public will be chosen for broadcast. Videos on the AR-CAN platform will remain on the site for approximately 30 days following the live event. Gov. Asa Hutchinson voiced his support for the new service, jokingly saying he would use it to "keep an eye on Sen. Rapert," whose district encompasses AETN's headquarters. "This will give [the public] increased access to significant committee meetings, to commission meetings. I love the fact that some of our independent agencies will be under consideration for live-stream," Hutchinson said. Pledger said the program will come at no additional cost to taxpayers and will be run with the network's existing budget. The service will begin with a meeting of the State Board of Finance on Tuesday. The House and Senate both recently introduced live-streaming services, which will be available on the AR-CAN website and at Arkansas.gov/senate and arkansashouse.org. In the interest of disclosure, KUAR and AETN have a reciprocal underwriting relationship and partner on various content projects. The Arkansas State Senate’s afternoon chamber business will begin live-streaming its audio beginning Tuesday when it convenes at 1:30 p.m.
State Sen. Jonathan Dismang told Talk Business & Politics a week ago that the Senate would begin using the technology within a week. “We’d hope to kick it off a little bit sooner, but we will be live-streaming the Senate,” Dismang said at the time. The State Senate will only audio live-stream its full chamber business through its web site, not committee meetings at this point. The 92nd General Assembly of Arkansas began Monday afternoon. Thousands of bills are expected to be considered in the coming months with proposals to cut individual income taxes and a reorganization of state government among the top issues. Arkansas Supreme Court Chief Justice Dan Kemp first gave the oath of office to the 100 members of the House of Representatives. He then went to the Senate to give the oath to its 35 members. Gov. 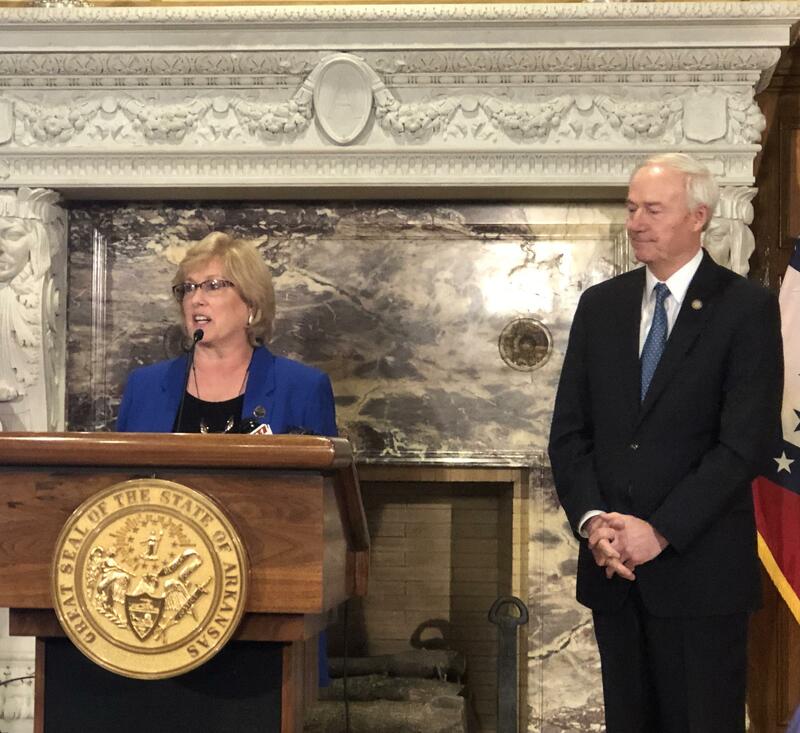 Asa Hutchinson’s plans for Arkansas this year include more money for teacher pay, an increase in funding for the Department of Agriculture and the third phase of a tax cut plan. Hutchinson outlined parts of his proposed state budget and goals during his State of the State address Tuesday morning. Speaking after taking his inaugural oath in the Arkansas House of Representatives, Hutchinson outlined what his idea for Arkansas’s future looks like.